One of the 32 rooms and suites inside of The Adelphi Hotel. As the Adelphi Hotel’s motto states, “Embrace the Extraordinary,” the renovations are indeed extraordinary. The grand boutique hotel of years past is brilliant in its present state and is once again the beautiful face of Broadway in downtown Saratoga Springs. The Adelphi has proven that it is destined to persevere. With the many renovation efforts and total transformations over its decades of graceful existence, the history is just too deep and treasured to not live on. The Victorian-style Adelphi Hotel opened in 1877, from more humble beginnings during a burgeoning American economy and when travel to Saratoga Springs from New York City became so in vogue. That is how the mystique of The Adelphi really took hold. One of the first famous guests to embrace the new Adelphi was Congressman John Morrissey. The champion boxer/bare-knuckle prizefighter founded The Saratoga Race Course and was quite notorious. In 1878, John Morrissey even died within the hotel and toasts can be made every evening to him at the aptly named Morrissey’s bar in the lobby of the hotel. From the first major expansion and facelift to the present transformation, the Adelphi has served as host to robber barons, literary greats and larger than life entertainers and personalities. There are three wonderful eateries associated with The Adelphi — the new Blue Hen Restaurant, Salt + Char (owned by Adelphi Hospitality Group, parent company of The Adelphi Hotel and located adjacent to the property) and Morrisey’s where I enjoyed the best sushi that I have had in the Capital Region. With these culinary gems, we can expect to see gastro greats make the journey en masse. Conservatory in The Adelphi Hotel’s Restaurant The Blue Hen. 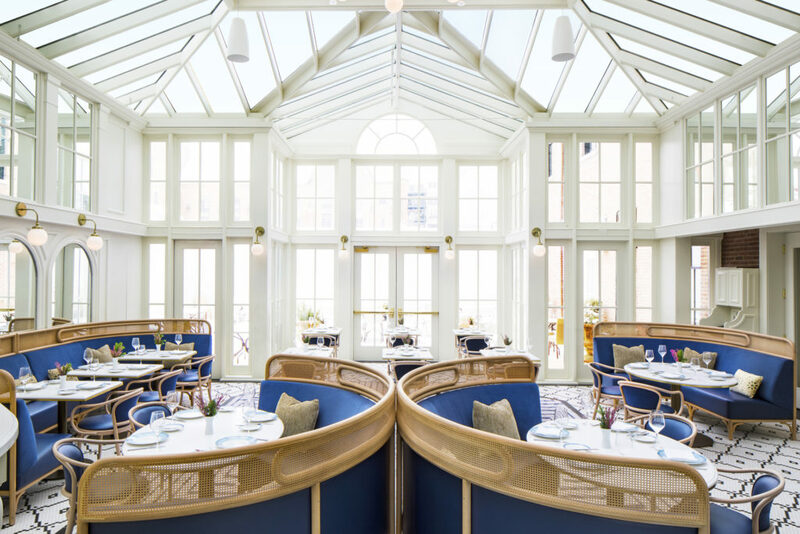 The Adelphi Hotel and it’s Culinary Director, Award-Winning Chef David Burke just announced the opening of its patented salt dry-aging room. The process for dry-aging meat features a room, lined with pink Himalayan bricks of salt, where Prime Beef is allowed to dry naturally while absorbing the subtle flavors of the salt. 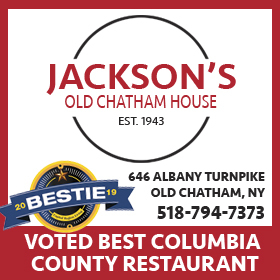 For Capital Region diners, this certainly raises the bar for excellence when heading out for the perfect dinner. Chef Burke along with Executive Chef Chris Bonnivier oversee every exquisite morsel from The Blue Hen, Salt & Char and Morrissey’s Lounge at The Adelphi Hotel. This talented duo also serves up a bi-monthly culinary cooking series, which includes a class and dinner by both Chefs Burke and Bonnivier, as well as a tour of The Salt Dry-Aging Room. 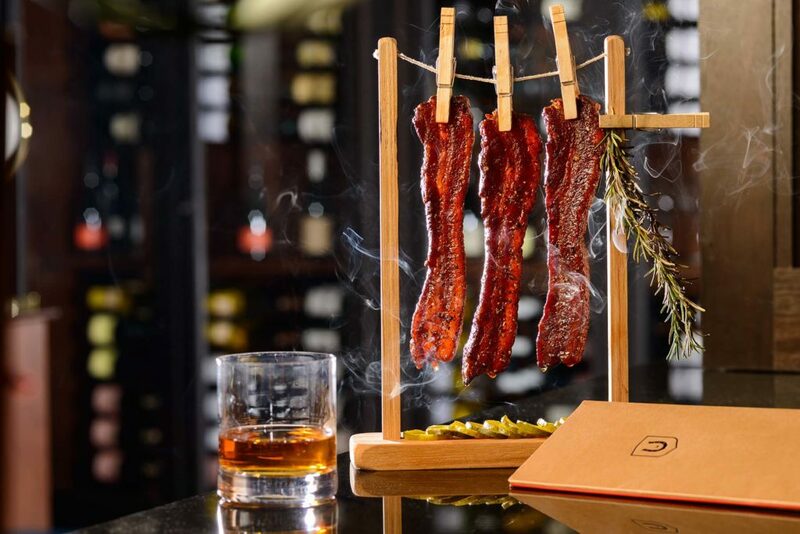 Chef David Burke’s signature Clothesline Bacon at Morrissey’s Lounge in The Adelphi Hotel. The five-year renovation revitalizing the Adelphi Hotel has a unique style that can best be appreciated in Saratoga Springs. It’s simple, yet with elegant indulgences. You feel like you are in the finest Victorian luxury yet firmly planted in modern day technology. If you want a weekend getaway or special evening close to home, this is a great bet (pardon the racing pun.) Capital Region residents also have the advantage of booking outside of the feverish racing season and enjoying all that this city has to offer without the crowds. 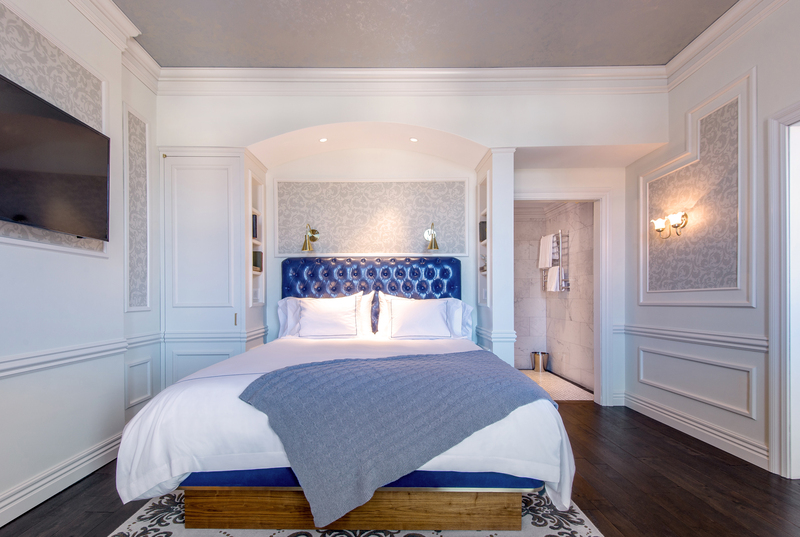 “Adelphi Hospitality Group collaborated with Designer and Architect Glen Coben of New York-based Glen & Company to reimagine the interiors focusing on a sophisticated modern Victorian design that personifies with a modern twist, and eclectic revival of timeless ideals” states the property’s announcement release. Capital Region’s Dominick Ranieri Architect P.C. of Schenectady, was the architect leading The Adelphi project’s extensive structural transformation and restoration. Previous ArticleGet your family “hooked” on spring fishing!